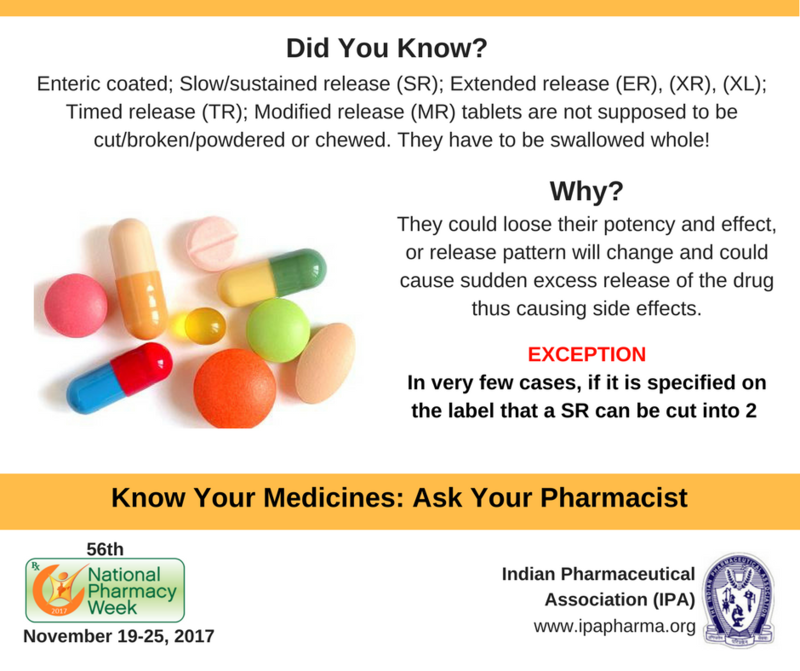 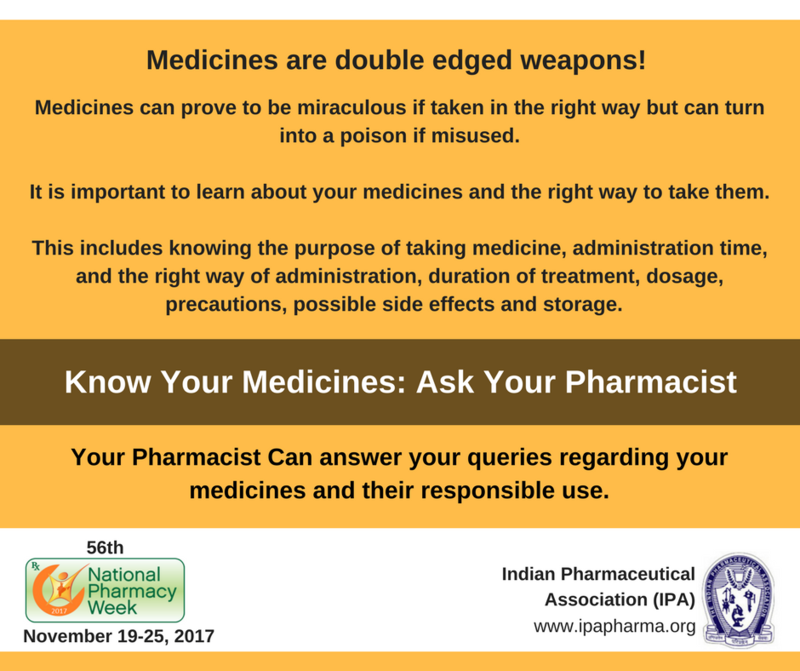 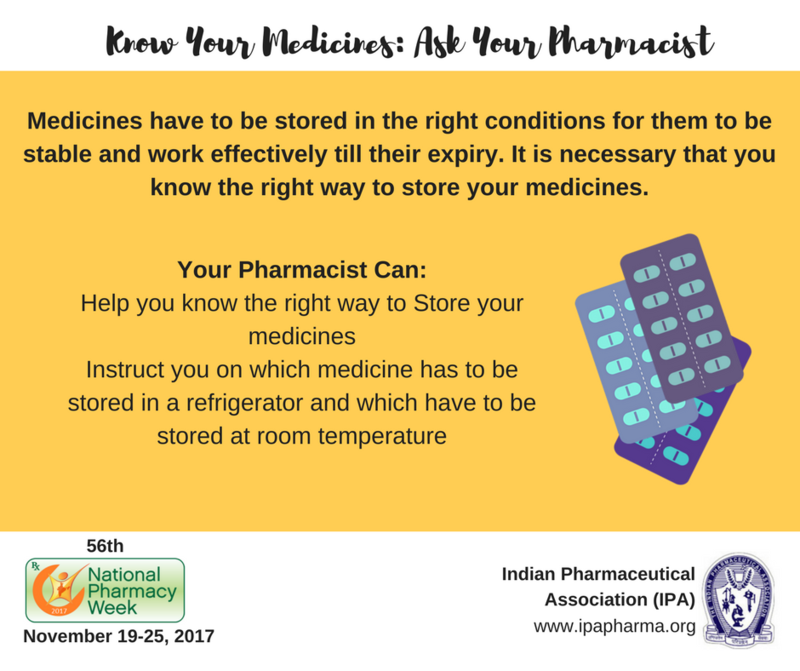 The Indian Pharmaceutical Association has been celebrating the National Pharmacy Week every year during the third week of November. 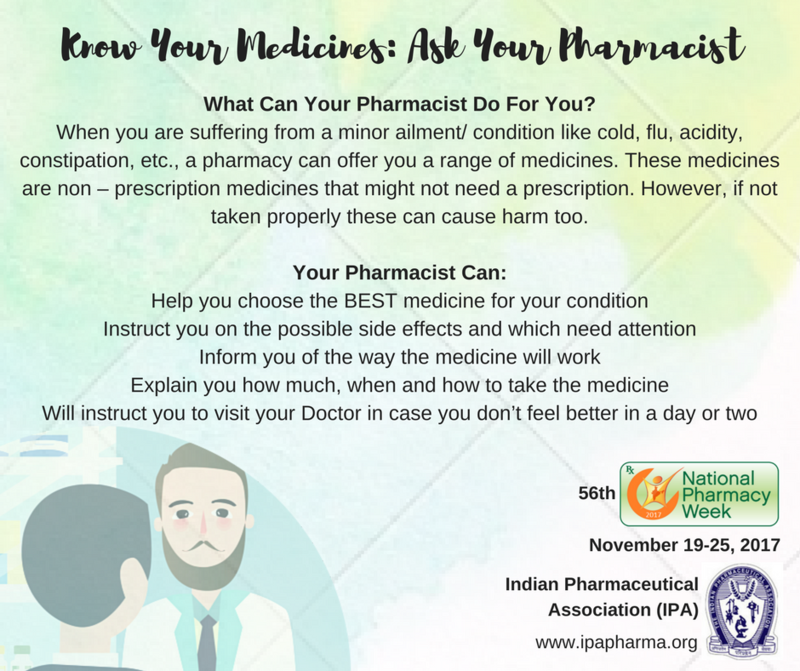 The major focus of NPW celebrations is to create awareness amongst the public, other healthcare providers and the authorities, about the NPW theme in specific and about the pharmacy profession and role of the pharmacist in general. 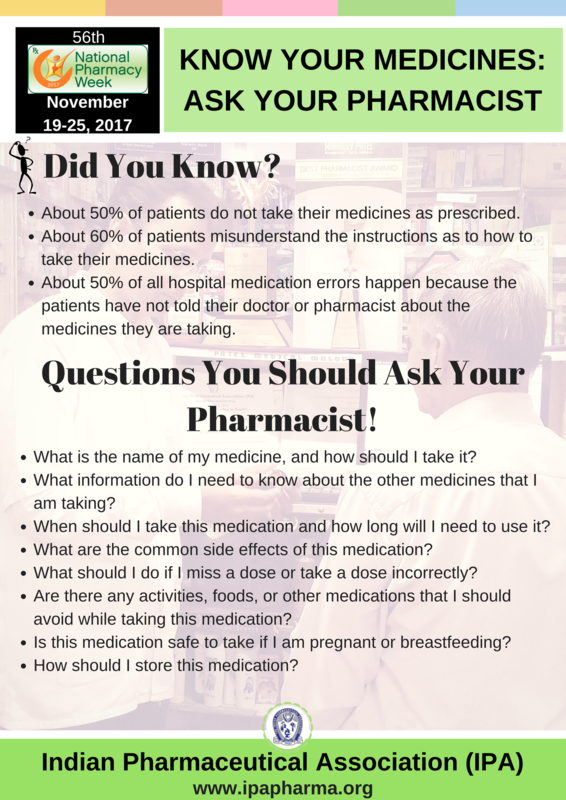 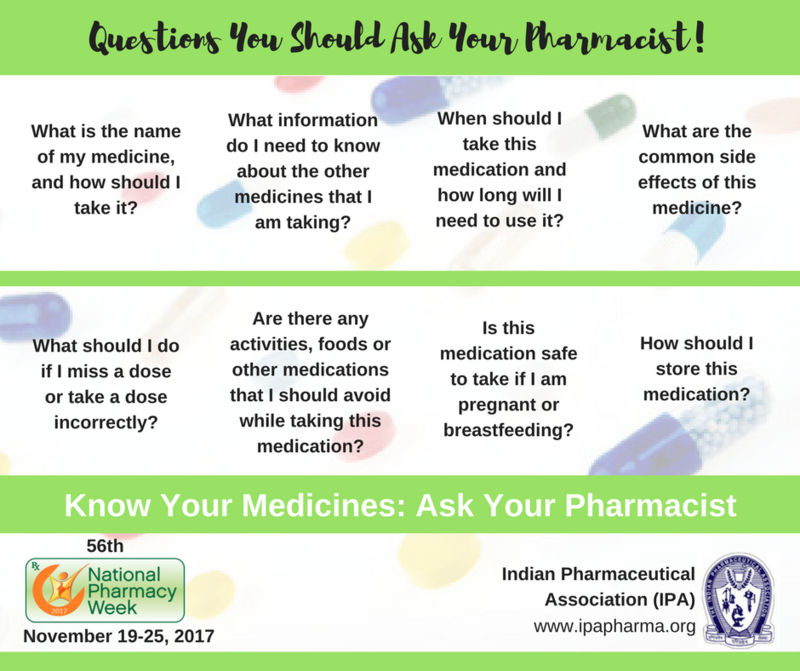 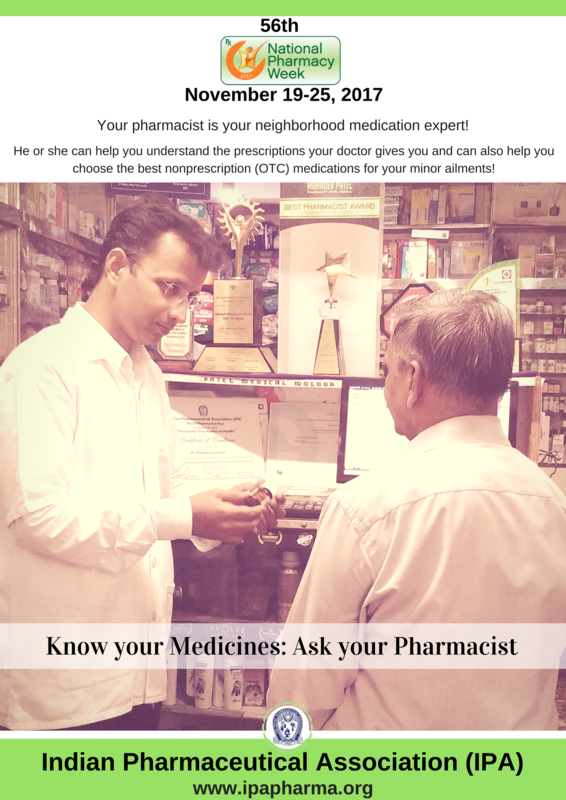 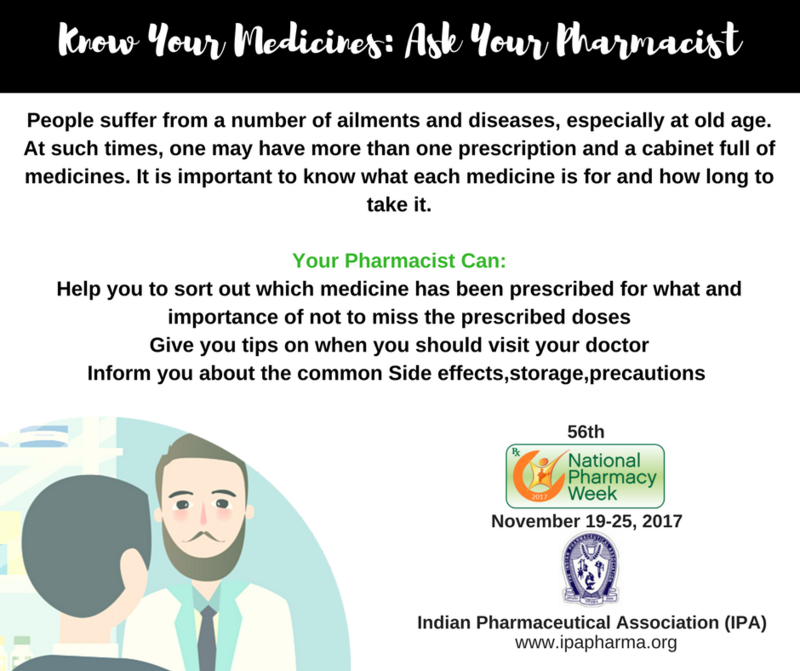 “Know your Medicines: Ask your Pharmacist”. 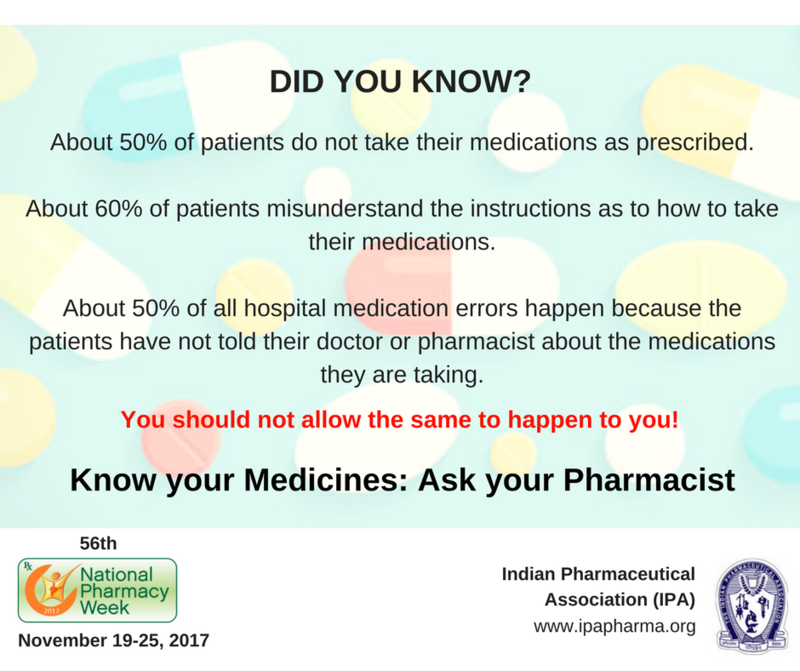 We look forward to receiving your innovative ideas about how NPW should be celebrated this year as well as about the educational material to be developed to make it most effective and meaningful. 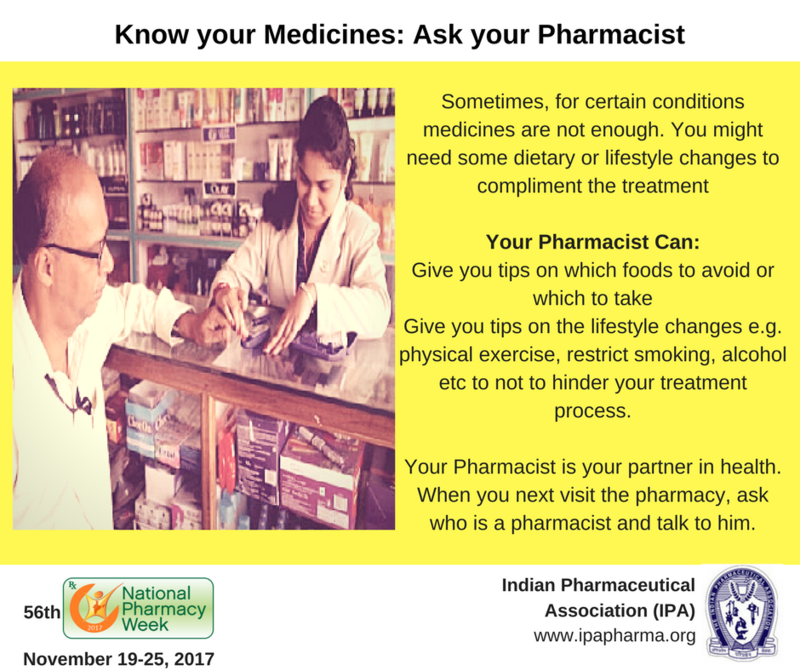 Your active participation is most welcome.